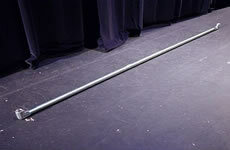 Note: The following lengths will result in a Barre 10' long, 3' 5" (41") high, and 2' 3" (27") wide. Please feel free to adjust as desired. 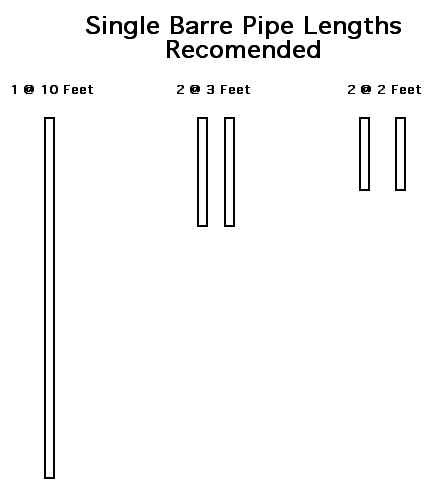 It is recommended that the leg pipe be no shorter than 18" (for a 21" wide leg). All pipe ends need to be free of burrs (what the file or sandpaper is for). 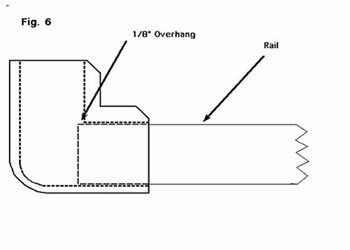 The following cut list can be made from 2 - 10' lengths of 1 1/2" EMT (or EMC) pipe or one 20' length of 1 1/4" schedule 40 pipe. - Using the Tape Measure, measure and mark each Leg in the middle of the pipe (1' for a 2' leg). 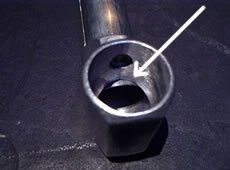 - Take the 2 "T" Fittings and slide one onto each of the Leg pipes using the marks to center them - tighten the screw Finger Tight. 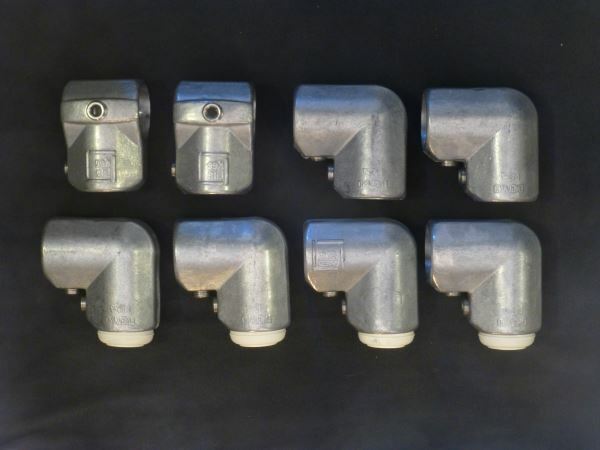 - Square up the "L" Fittings by placing the rubber foot ends of fittings face down on a flat surface and rotating one or both of the fittings so there is no rocking. Tighten the screws of the "L" Fittings to Wrench Tight. 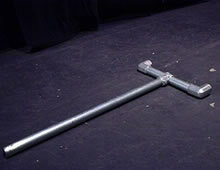 - Roughly square up the fittings by laying each on its back, with the openings straight up, on a flat surface. Tighten the Screws to Finger Tight. - Take one of the Feet / Leg assemblies and slide one of the Upright pipes into the open end of the "T" fitting. - Repeat for the other Upright. 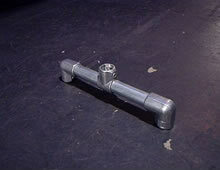 - Stand the Legs & Upright assembly up and side the Upright pipe into the open end of one of the Rail "L" fittings. 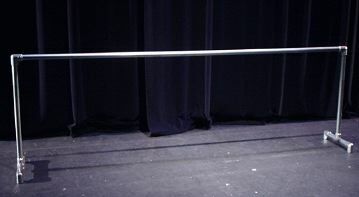 Let the other end of the Rail rest on the ground. Slide the upright in until it stops on the 1/8" projection of pipe inside the "L" fitting. Finger tighten the screw. - Repeat for other Upright and Leg. 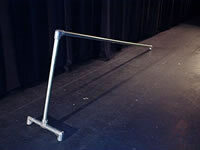 - If the Barre rocks - rotate one of the Uprights in relation to the Rail Pipe to fix it. - Tighten the screws into the Rail pipe to Wrench Tight. - Check all of the screws and make sure they are all Wrench Tight.